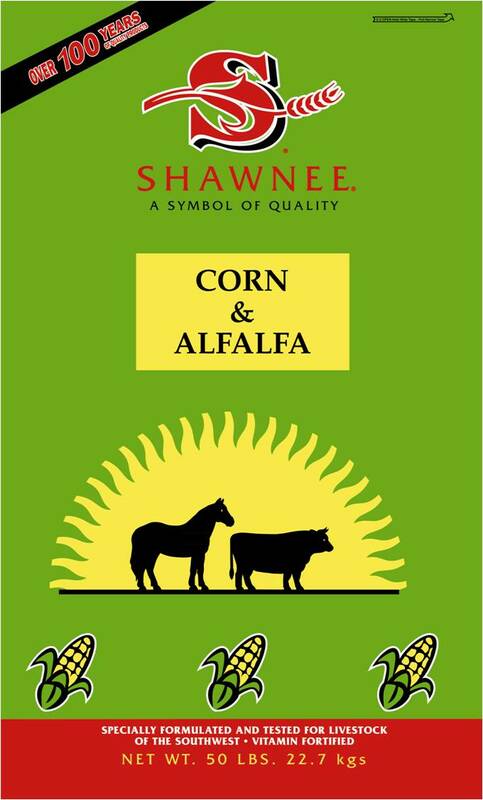 Corn Chops, Alfalfa and Molasses. Feed as a forage and energy supplement for cattle, horses, sheep and goats.For Cattle, Sheep and Goats: Feed 1 to 2 % of body weight. Start on feed slowly and increase gradually over a 30-day period. Feed grass hay or pasture; salt and mineral free choice.For Horses: Feed approximately 1 lb/ 100 lbs body weight. Feed grass hay or pasture; salt and mineral free choice. Always provide plenty of clean, fresh water. Do not feed old, mold, or insect infested feed.